One of my favorite things to do during Christmastime is to drive around looking at all the beautiful lights. I live in a pretty small town and we don’t have any big Tree Lighting Festival or anything neat like that (oh, how I wish I could attend the one at Rockefeller Center – bucket list!). Instead I like to drive around listening to Bing Crosby with the windows down, grab a peppermint hot chocolate, and look at the lights all around! 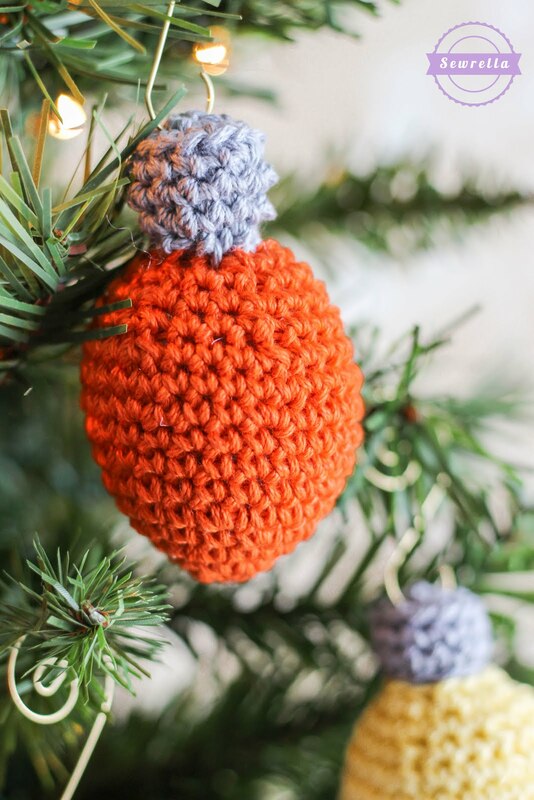 This little ornament is modeled after those oversized Christmas bulb lights that were popular a while back, and always seen in lots of bright colors! 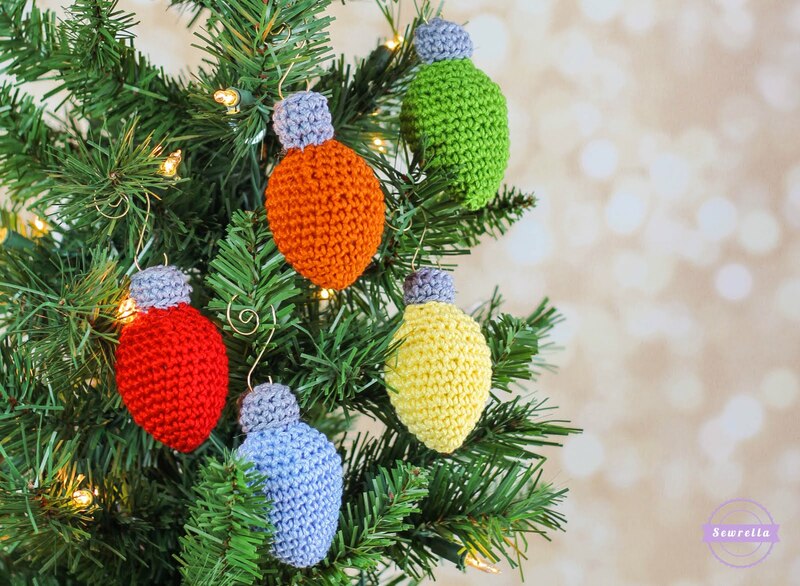 I made a few to help fill out my tree in various colors. You could also string them together with black yarn (or work a long string of Chains in black!) to make them look more like a string of lights. I didn’t want mine connected, but it’s all up to you. Pro Tip: go to any historical areas of town, these houses will usually have pretty elaborate lights and even some organized community theatrics! Enjoy some lights out there this season! 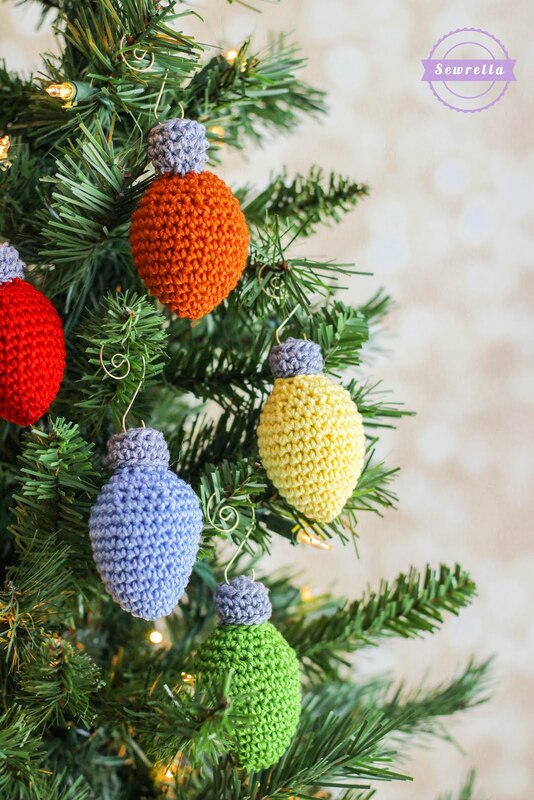 Super cute, thanks for sharing the pattern! Thank you for this cute pattern !! !